Scala, Inc., a leading global provider of digital signage and advertising management solutions, has created a Digital Signage Checklist for retailers. The company is sharing that checklist with participants at Digital Signage Expo 2012, March 7 and 8 in Las Vegas (booth #601). 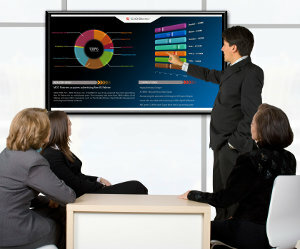 Here is the criteria which they suggest for evaluating digital signage solutions. © 2019 Scala Digital Signage. Copyright © 2018 Scala - Digital Signage Software. All rights reserved. All logos and trademarks are the property of the respective trademark owners.